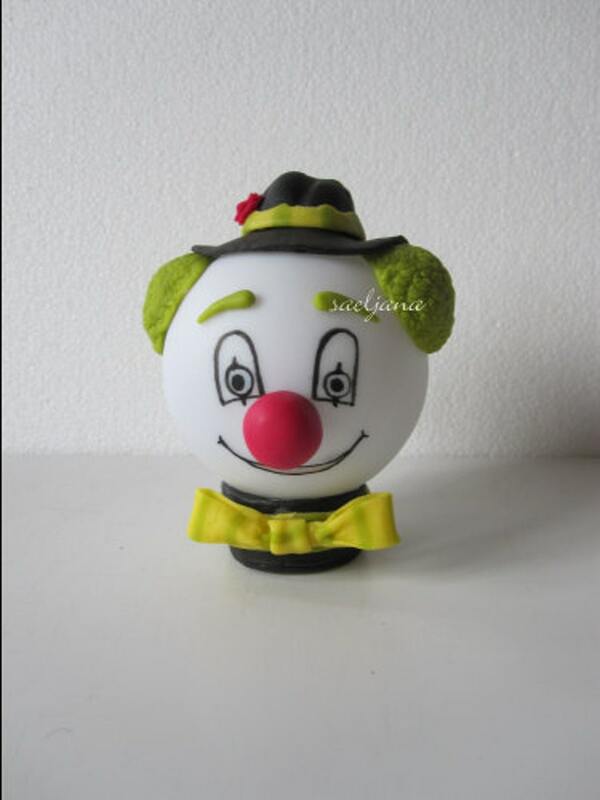 Nightlight : Funny face clown! Cold porcelain. Led. Une joyeuse petite veilleuse pour rassurer dans la nuit! Ce petit clown effacera tous les soucis des petits...et des plus grands! Being made complety by hand, without models, makes every pièce unique. 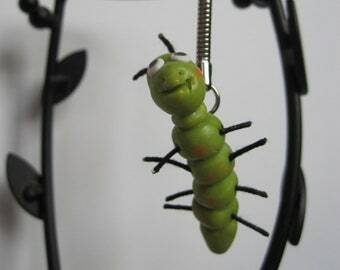 Materials used: Cold porcelain, plastic ball…. « Cold Porcelain » is a clay mixed and made by me, fired and tinted in mass, and finally madeled into diverse and unique pieces. When the pieces are completely dried, they are painted with bold and bright colors, with or without gloss. Items are delivered usine « colissimo suivi » for destinations on mainland France as soon as payment is receveid. For all other destinations, please contact me. It is possible to arrange a hand-to-hand transfer. Take a look at my other projects! Personal projects are always possible, so don’t hesitate to take part in your own projects. INTERNATIONAL SHIPPING, PAYMENT TERMS, see « shipping and terms », thank you. *PAYPAL : If you have an account or a credit card, this is the easiest, fastest and most secure method of payment. *CHECK (only french checks accepted): please ask for my personal information, thank you. * BANK TRANSFER: very secure, please ask me for my bank information, thank you. *PACKAGING: Is done individially for eatch object, to prescrive the piece in the best fashion possible. Gift wrappingis also available. *DELAY: No delays, the package is sent as soon as it is bought ( except for special orders). *DELIVERY: Always the lowest price possible, without adding forfeits. LETTER minimax, LETTER max, ECOPLI... COLISSIMO SUIVI, on french postal standarts (price depending on the size of the object). For ALL OTHER DESTINATIONS, please contact me! REMBOURSEMENT for an object are possible up to seven days after the package is receveid. All parts of the object and its packaging must be returned. Remboursement will be effectuated upon return and verification of the object. This does not concern personal projects or personalized items. RETURNS are accepted in their original packaging and in perfect condition, with the return post at the expense of the buyer. The legal delay is seven days. Please inform me befor e any returns. Everything and anything is possible, so let’s create it, and lets make it! Night light led saeljana cold porcelain OWL. OWL. Lamp of atmosphere. Child's room. Birth gift. Birthday. Nature. 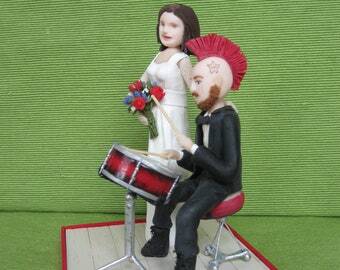 PERSONALIZED CAKE TOPPER: A wedding punk! Your story custom decorate the cake from 30 euros. Cold porcelain. j'ai eu un excellent contact avec Dominique, qui est dynamique, sensible et attentionnée. Drawers donkeys buttons - set of 3-ball-Mule-bardot - Dresser, bedroom furniture. Porcelain cold saeljana. Non-toxic materials. Beautiful!!! Amazing!!!!!! perfect service!!!! Wonderful! joyeuse décoration de noël, envoi rapide et soigné, merci beaucoup ! Snowman and bird on stand natural wood. Porcelain cold saeljana. Christmas decoration, winter holidays. Snowman, snowball fight! Porcelain cold saeljana. Natural slice of birch. Christmas, holiday season, winter holidays. PAYPAL, bank transfer, check , and even Etsy Gift Card! Everything and anything is possible, so let’s create it and let make it!! Drawer KNOBS set of 3 small gnomes! Saeljana cold porcelain. Cupboard door handle convenient Cabinet. Candlestick "lace" porcelain cold saeljana. Led or wax candle. Drawer KNOBS. Set of 3 grilled sandwiches! COLD porcelain saeljana. Handles room, kitchen, child, gift.